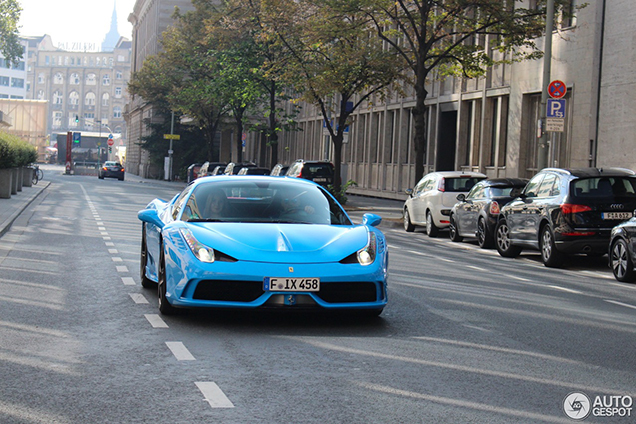 JBN Carspotting had the chance to capture a really special Ferrari 458 Speciale in Germany. No red, yellow, grey black or white color but 'smurf' blue! It's quite easy to stand out in this car. 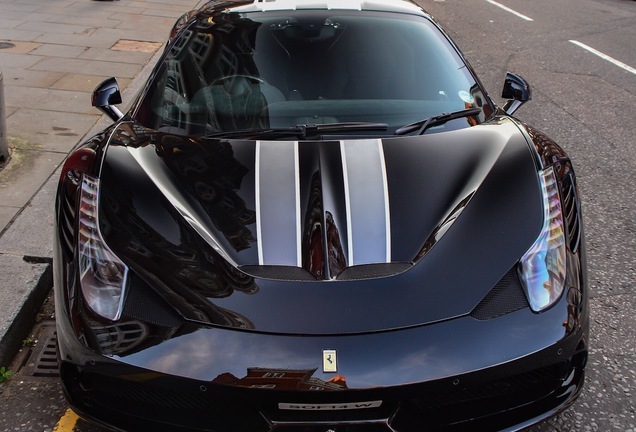 How do you get even more attention in the already outstanding Ferrari 458 Speciale? You can do this by wrapping or painting it in a very special color. The following owner decided to turn it's car 'smurf' blue. It doesn't really make the car more beautiful but it definitely makes it more special. 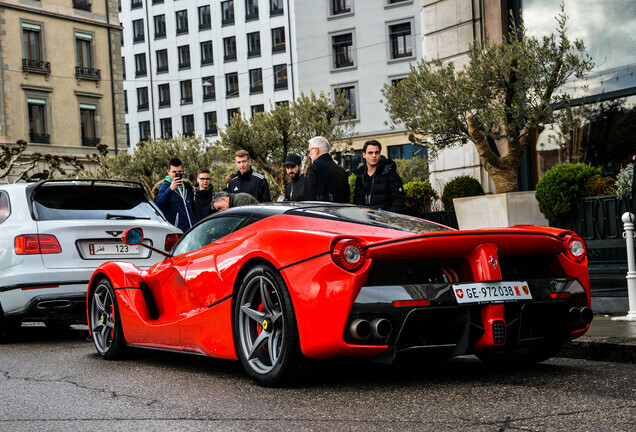 Luckily the specification of this brute compensate the looks. 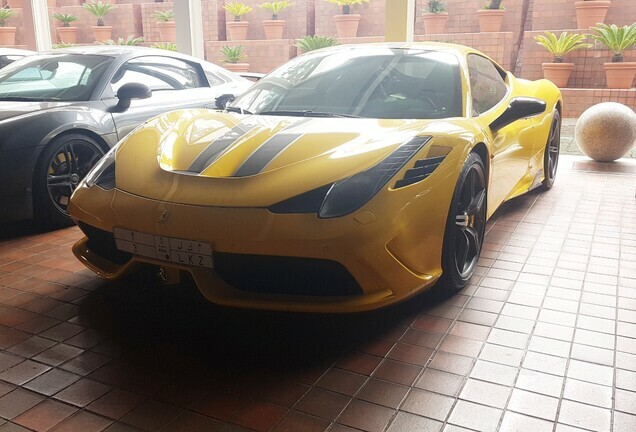 605 hp produced by a naturally aspirated eight cylinder engine. 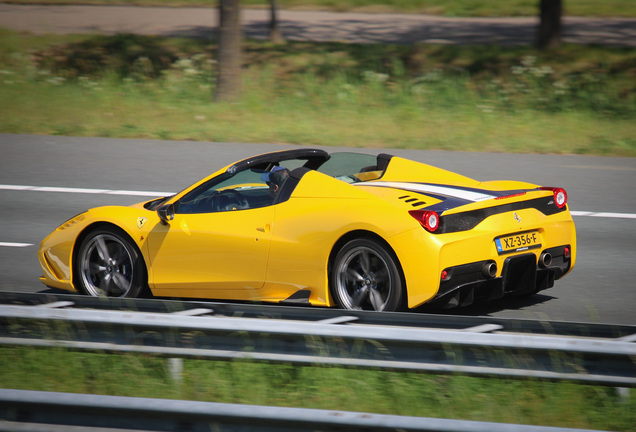 This makes you sprint to 100 kph in three seconds and make you reach a top speed of 325 kph. 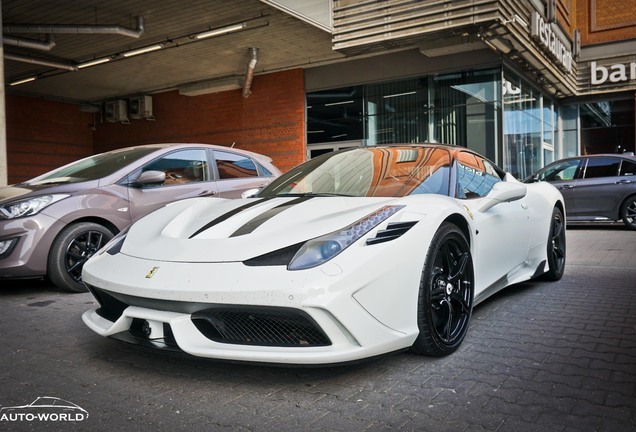 Forget about the 488 GTB, the 458 Speciale this car you really want own!